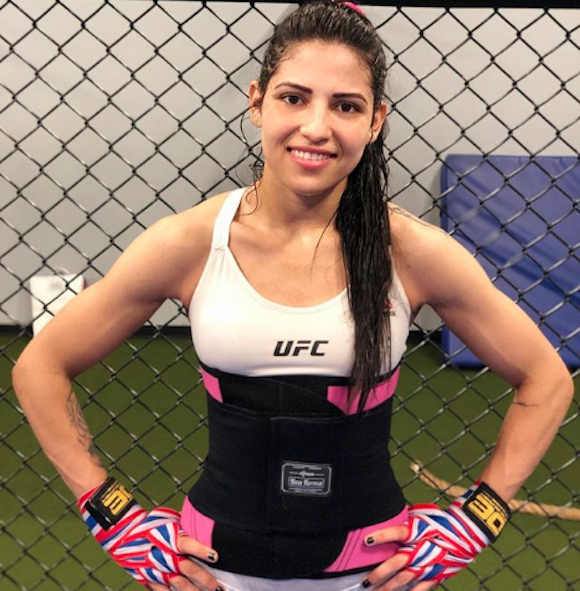 UFC fighter Polyana Viana dished out the very best kind of street justice in Rio de Janeiro, Brazil this weekend, when a mugger attempted to steal her phone late at night on the city streets. Related: Angelina Jolie’s Advice For Her Daughters Is Girl Power Goals! Not knowing Viana is an MMA fighter who literally beats the hell out of people for a living, the would-be mugger no doubt saw the 115-lb. woman and figured her for an easy target… Well, he was wrong!!! But wait… it gets better!! Related: YouTuber Thwarts Package Thieves With AMAZING Glitter Bomb! Viana spoke to MMA Junkie about the incident, revealing that the man ended up needing to be taken to the emergency room after the incident — and that all he was armed with was a cardboard cutout shaped like a gun. Girl power at its finest! We are absolutely LOVING this story!! !